Set in this unspoilt village is a lovely stone three bedroomed cottage with an abundance of charm and character and having large gardens and garaging to the rear. In addition and just along the lane there is an excellent block of 10 stables with storage, menage, horse walker and all standing in approximately 10.45 acres (4.22 HA). 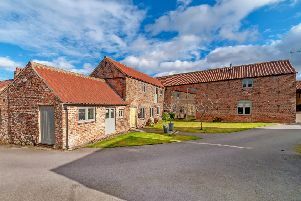 The property is available as a whole at a guide price of £550,000 or the cottage is available without the stabling and land at a guide price of £325,000. For further details, contact Lister Haigh 01423 730700.